2 Injured In Crash On I-95 Near Vero Beach Exit | Schuler, Halvorson, Weisser, Zoeller & Overbeck P.A. Two crashes near the Vero Beach exit on Interstate 95 closed the southbound lanes, Florida Highway Patrol reported. 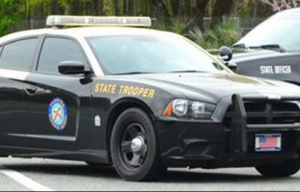 The crashes near Vero Beach exit on State Road 60 blocked the on-ramp to Interstate 95 South and three out of four lanes of traffic, according to the FHP. There were two injuries recorded in the crash but their severity was not immediately available. “Both are crashes with injuries,” a trooper said. Fire Crews arrived at the scene shortly after the crash. First emergency responders say two cars were involved in the crash, both with heavy damage. Firefighters used extrication tools to rescue all the occupants. The two injured people were transported local hospitals for treatment. Their current condition is unknown at the time of filing this report. Authorities are asking drivers to avoid the area if possible.